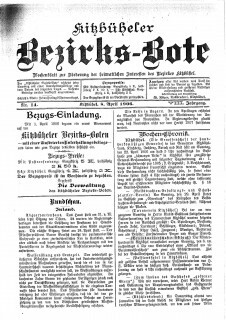 We know from archived documents, and newspaper reports confirm it. 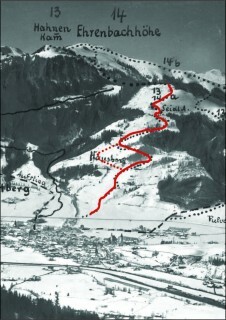 The first downhill race was held in Kitzbühel. 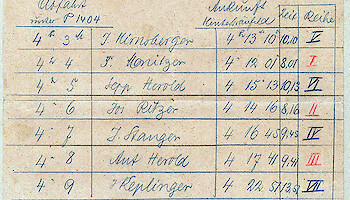 Seven members of the „Winter Sports Club“, the then Kitzbühel Ski Club, took part. The starting line was at Seidlalmkopf, just above the starting line of today’s Super-G. 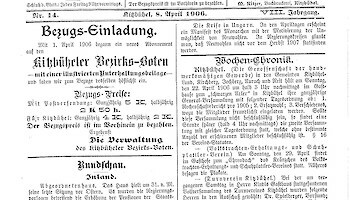 The weekly „Kitzbüheler Bote“ magazine announced the downhill race on 8th April 1906: „ Kitzbühel Winter Sports Club is holding a „Ski Race for the Club Master Title”, namely a downhill ski race, tomorrow, Sunday the 8th, at 4 o’clock thereof in the afternoon. The finish is at the railway crossing at Hinterbräuau”. 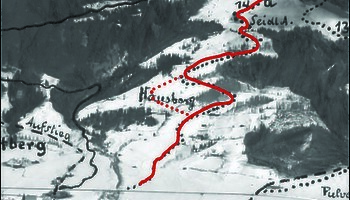 In other words, the finishing line was at the self-same spot where the stadium for today’s Hahnenkamm Downhill is located. A week later, it was reported that because of rainy weather, only seven of the registered 14 athletes took part. „All participants have shown a satisfying performance. The three kilometre long course with 624 metres in altitude difference was completed by the winner, Sebastian Monitzer, in 8 minutes, 1 second. 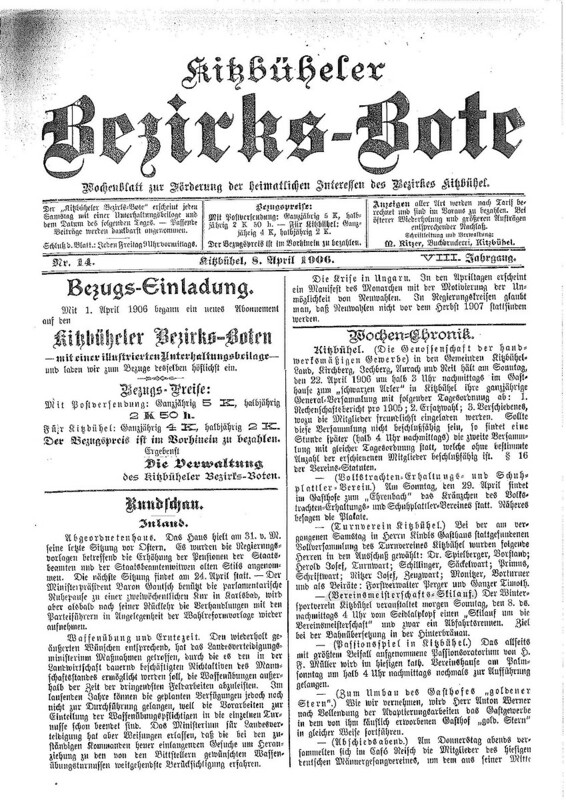 The second, Josef Ritzer, followed with a time of 8 minutes, 16 seconds. 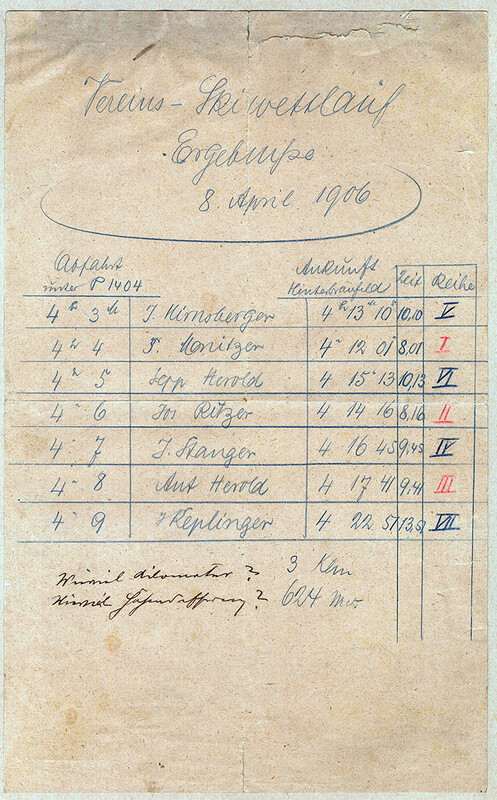 Anton Herold came in third with 9 minutes, 41 seconds. The other participants crossed the finishing line with only a few seconds separating them.“ The quoted difference in altitude and route are almost identical to that used for the ladies downhill race during the Hahnenkamm Races in the 40’s and 50’s, as well as the Super-G of today. With no flat sections or ascents, the fastest skier wins - a true „downhill only“. 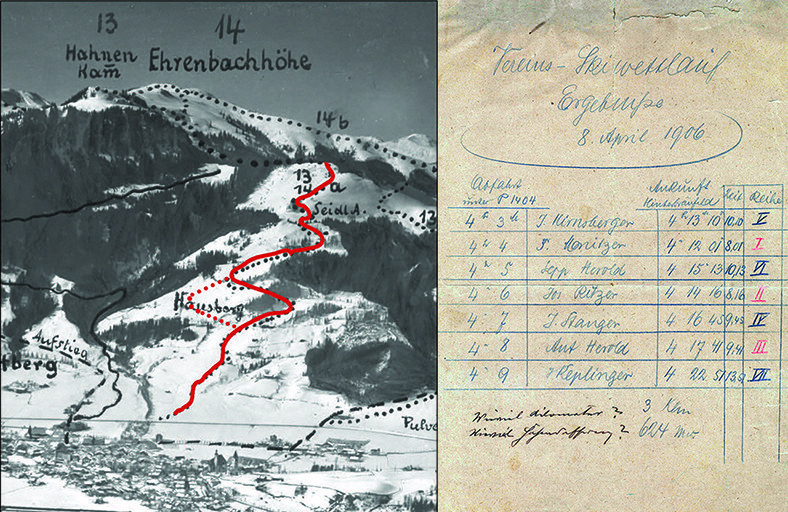 The winning time of around 8 minutes over this course length of 3 km results in an average speed of 22.5 km/h for this first downhill race (!) in Kitzbühel. Other ski races that played a decisive role in the development of this alpine ski discipline can also be found in Kitzbühel’s ski history. For example, on the 21st January 1906 a downhill race was held from the Kitzbühel Horn (300 meter ascent, 1200m downhill!) 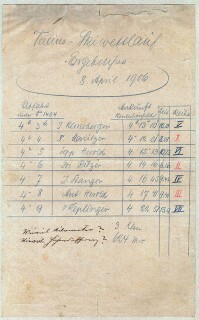 followed by a style competition, where scoring was based on awarding points. 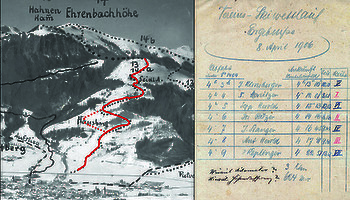 Or on the 17th February 1908, when the very first race of the Ski Club of Great Britain took place in Kitzbühel in the form of a „Combined Curving and Speed Race“. All are forerunners in the early development of the alpine ski discipline, but not in their pure form. Kitzbühel can quite rightly stake their claim for hosting the first exclusively “downhill race” in the modern sense of the term.